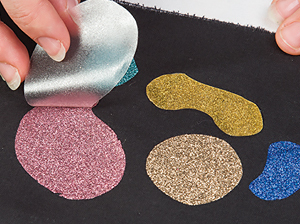 Zart's Glitter Iron-On Sheets will impress you with their ease of use and amazing results! 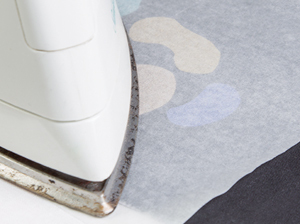 When ironed on, your fabric will maintain its flexibility and flat surface. 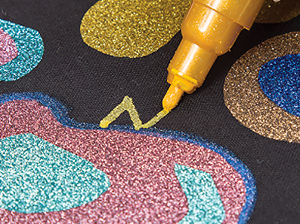 Apply to natural fabrics such as cotton and calico, in both light and dark shades. 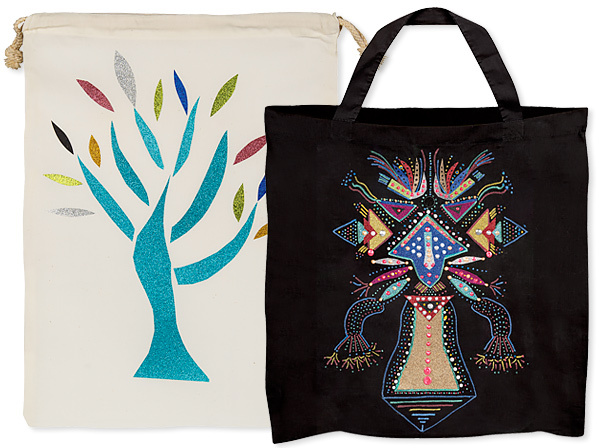 Also machine washable when turned inside-out. 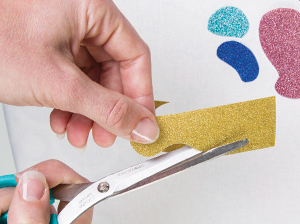 Cut out shapes from the Iron-on Glitter Sheets (PA771). 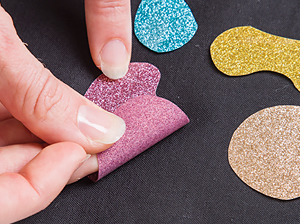 Arrange shapes in a design on natural fabrics, shiny plastic side up. Place baking paper over the design. Iron with a dry hot iron, cotton setting for one minute. 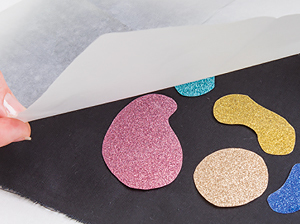 Peel off top plastic layer from your shapes, then cover with baking paper and iron again for one minute. 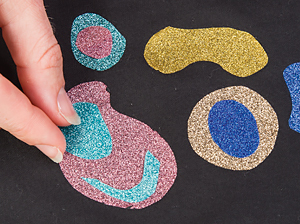 To add more layers repeat the process on top of the shapes you have already secured. 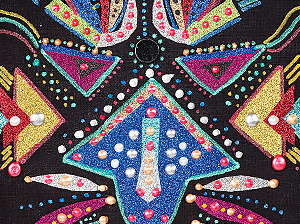 Embellish designs further using fabric paints or pens. Your design is now complete!